When Jim Adamson was appointed as head of NCR Dundee in 1979 the business producing mechanical cash registers was in decline and he was given six months to turn the factory around. 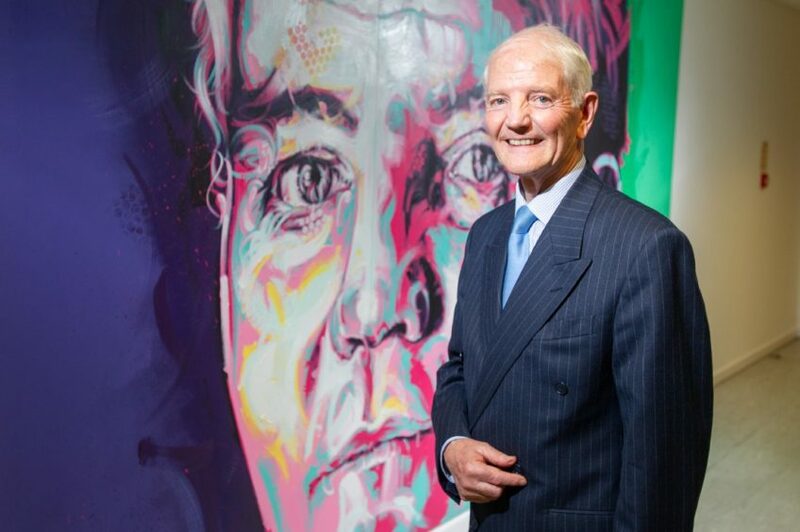 Jim Adamson alongside the portrait of him unveiled at NCR Dundee headquarters. He immediately wanted to establish an engineering division and struck upon the cash dispenser as the product that could turn the Dundee operation around. The only problem was NCR’s current ATM machine was being designed at the company’s headquarters in Dayton, Ohio, and the team there were not about to let its development go to a satellite office on the other side of the world. Mr Adamson had no money in his budget for engineers either — but that didn’t stop him. 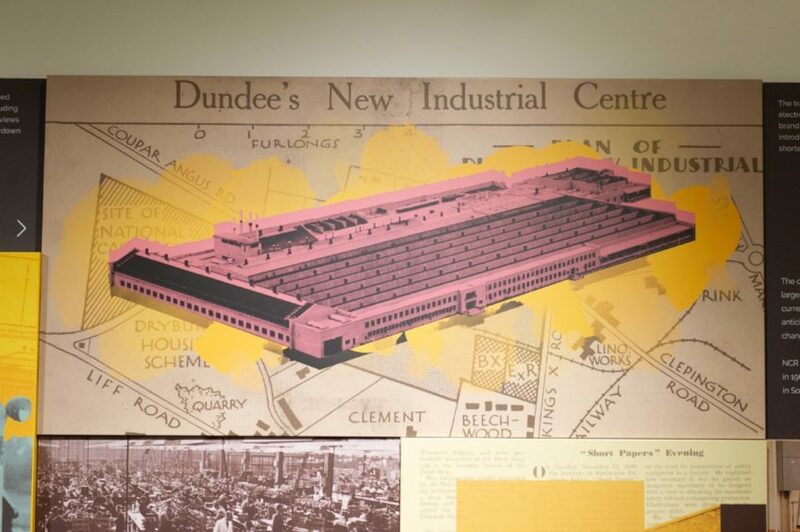 Some of the items in display in a new exhibition at NCR Dundee telling the story of the company’s history in the city. He recalled: “From square one I wanted a development organisation in Dundee and the first thing to do was to find a product. “There was a product in the wings called an ATM but it was a mess and it would have been impossible to wrestle it from the headquarters. “I found a way to free some money up by paying our suppliers in 30 days but turning the product around in 20 days. “I only had to turn the money over to the corporation quarterly so with the free money I set up the engineering division. 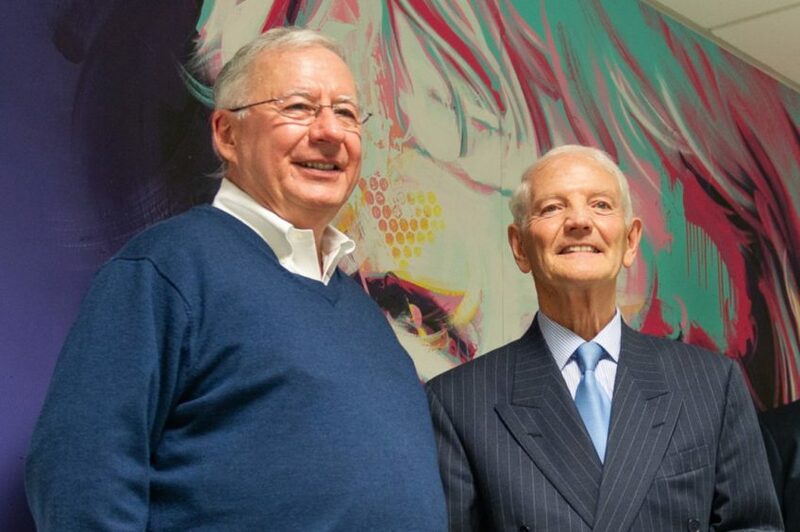 Frank D’Angelo (EVP and president, NCR Banking) and Jim Adamson. “We set out to see what we in Dundee could do to the ATM to make it so much better. “We focused on quality and delivery and it got to the point that customers were asking for an ATM that had been made in Dundee rather than Ohio. After a fast track engineering programme in Dundee, the 5070 ATM was unveiled in 1984 and became the most successful product in NCR’s history. 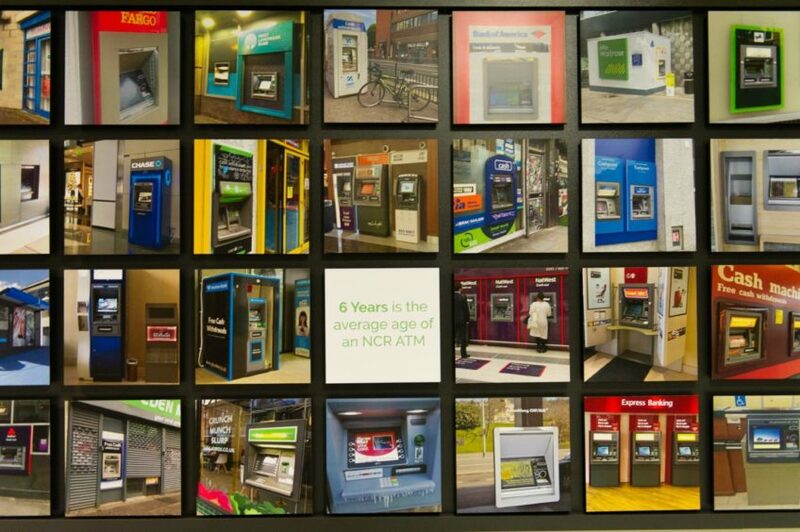 Three years later NCR reached the milestone of 50,000 ATMs built in Dundee, which was regarded as the best factory in Britain. “It was a great business and the people in Dundee were absolutely fantastic,” Mr Adamson added. 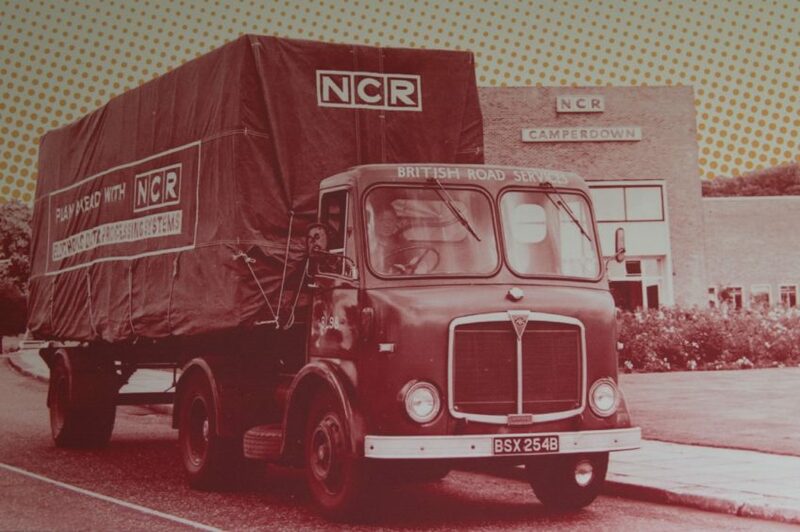 NCR Dundee has invested in a new display telling the history of the company in the city which it will show to visitors to its Discovery Centre at Fulton Road. It features five new works of art done by Tayside artists, one of which is a huge portrait of Mr Adamson composed by Michael Corr. Mr Adamson was unaware of the accolade when he returned to NCR yesterday. The other artists who have created work are Pamela Scott, Monty Nero, Joanna Craig and KRYME.